Stephy Tang Lai Yun, Grace Chan Hoi Lam, Larine Tang Yueping attended their new film KEYBOARD WARRIORS (HEI DAI JO)'s premiere two nights ago. Playing sisters, Stephy and Grace said that they constantly had to argue in the film. In one scene Grace even yelled at Stephy with foul language to add to the explosive atmosphere. Claiming to have never used foul language, Grace said that before the shoot she kept thinking about how to use the foul language in grammar. If she did not use it well people would make fun of her. Thus she considered it as a breakthrough performance. Stephy said that she did not know about the added foul language before, because the director wanted her to have the feeling of surprise and open her eyes on Grace. "At the time I thought Grace unknowingly used foul language, later I learned that she and the director had it planned all along. She used it pretty authentically." "Great hero of a generation" Elliot Ngok Wah earlier passed away in Canada at age 76. 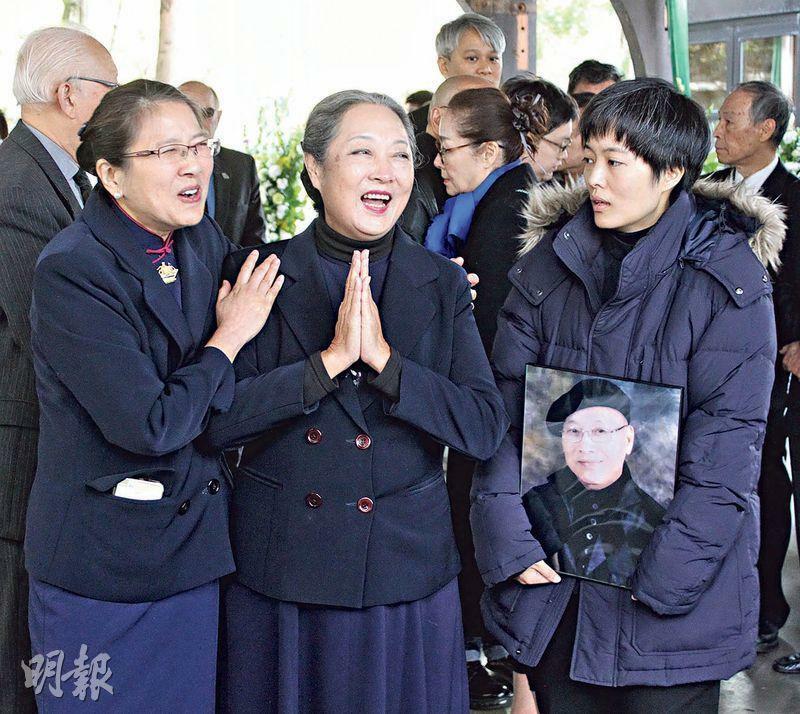 Yesterday Ngok Wah's family held a farewell ceremony and funeral in Vancouver. 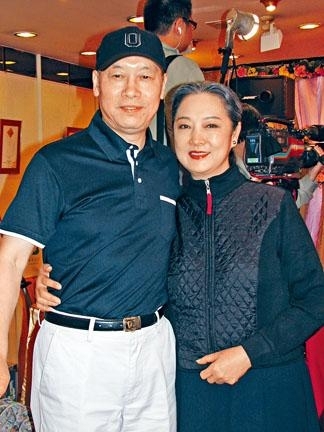 Many friends like Adam Cheng Siu Chau and his wife, Law Kar Ying and Liza Wang Ming Chuen, Joyce Cheng Yun Yi, Chua Lan and Chung King Fai sent floral arrangements. 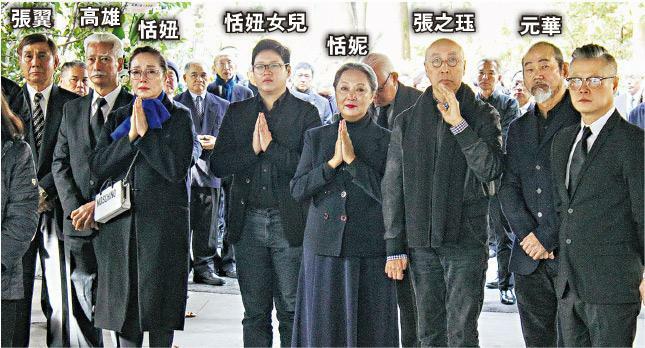 Tian Ni's sister Tian Niu, Ngok Wa's friends Ko Hung, Cheung Chi Kok, Chang Yi and Yuen Wah went to Canada to bid farewell to this "great drunken hero". Wife Tian Ni personally host the ceremony and was very strong. 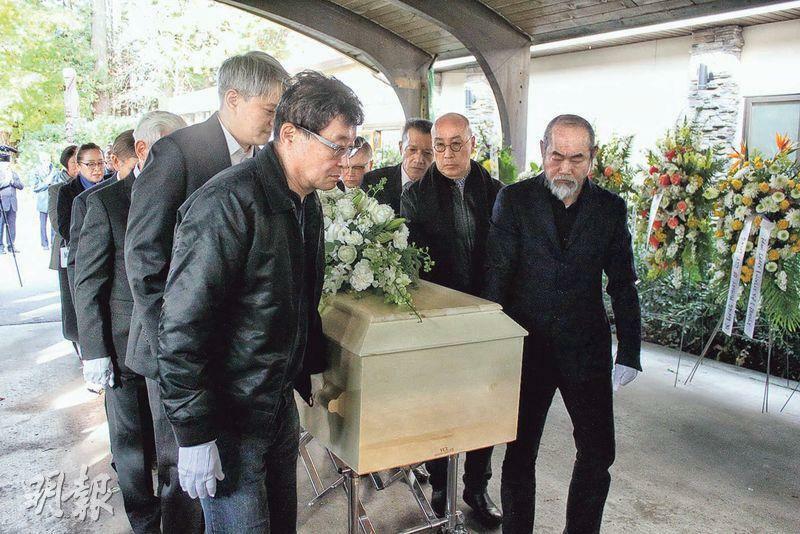 Around 100 people bid farewell to her late husband with a smile. 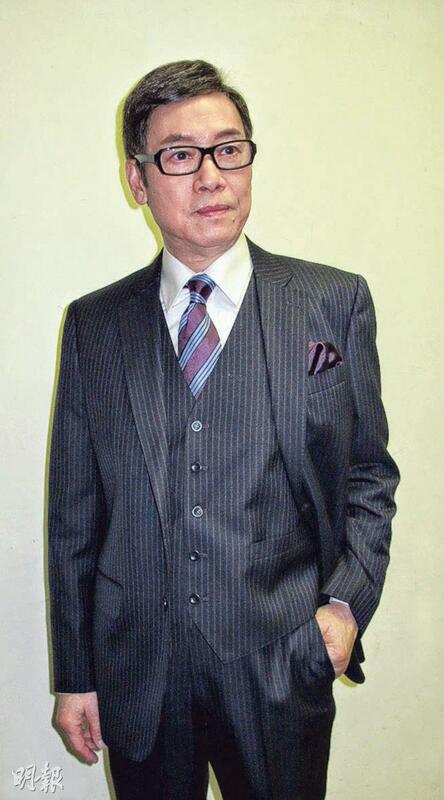 Former child star Louis Cheung Kai Chung years ago transitioned from singer to actor. After starting in television his acting was recognized and he grew hotter and hotter. In recent years he switched to film and performed decently as well. So far this year he has already had 7 film releases. His co-stars like DaDa Chan Jing and Chrissie Chau Sau Na would often burst out in laughing fits when working with him. Cheung Kai Chung joked that he trained for over 30 years to be able to make people happy like that. Hong Kong Performing Artist Guild vice president Gordon Lam Ka Tung, Hong Kong Federation of Film Workers president Tin Kai Man and director Joe Cheung Tung Cho two nights ago attended the classic disaster fund raising film THE BANQUET (HO MOON YEH YIN)'s restored version performance to celebrate the world audio visual heritage day. Ka Tung said that when the film was released he attended as a viewer. Everyone in the film was a superstar, however he of course did not want the chance to make this type of film again because it was made to raise fund after a disaster. Aside from acting, he recently has been busy with creating a film script about two cops. It has been in preparation for two years and he has already found investors. 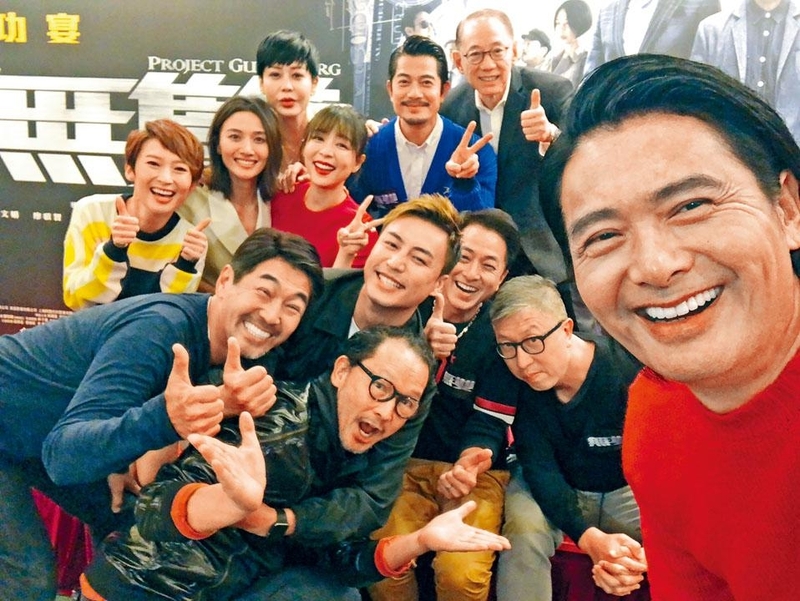 He revealed that it will be shot in Hong Kong and he was in contact with the actors he wanted. "I originally wouldn't act. Because I would have to produce, acting as well would easily have blind spots. However the investors want me to perform." He admitted that he also was responsible for the Performing Artist Guild's duties and had interest in investing in plays in hopes of cultivating new directors and actors. He said, "Take a look at my dark eye circles, last night I was still watching videos at home!" Artists Louis Cheung Kai Chung and Chrissie Chau Sau Na two nights ago attended the new film HOTEL SOUL GOOD (NUI WONG CHONG DOH JING)'s audience appreciation event at the movies. Although they attended a few shows they did not look tired at all! Ah Chung admitted that good word of mouth was the most important. Did his wife Kay Tse On Kay see it yet? He said, "She saw the first cut. I don't need a review from her, I am OK with her saying she liked it. Instead my son after watching said that a crying spot really wasn't like me. I thought he actually was pretty romantic." With three movies at the same time, would he forget his singer identity? He joked that now singing has become privatized. "I would sing in the shower, or at some anniversary banquets!" Chrissie was asked about the financial dispute with her manager. She said that everything was still in the process and the lawyers were handling it, thus she was not at liberty to comment. Was she confident about getting the money back? She said, "I left it for the lawyers to handle! It's troublesome! However for now I haven't been too affected." 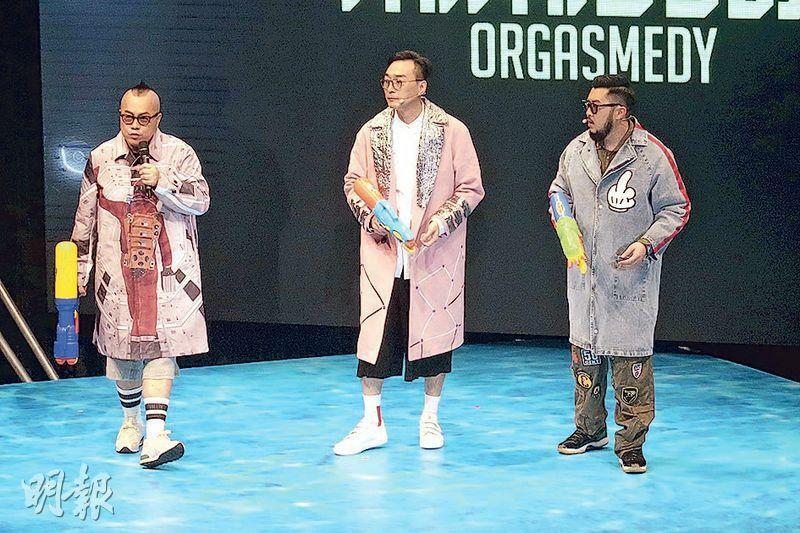 Shawn Yue Man Lok, Bianca Wu Lam, Kay Tse On Kay, DaDa Chan Jing, Jacquelin Chong Sze Man, Cheung Tat Ming, Tsui Tin Yau, Jan Lamb Hoi Fung two nights ago attended a stand up comedy show. Lok Jai revealed, "I have new jobs in negotiation but nothing has been confirmed yet." Because he has one or two stories that he wants to make, he hopes to be able to form a team to make it happen. However he hasn't thought about directing or producing. "As for the story for now it has to be kept confidential, it will be amazing!" As a father would he like to play a father? He admitted, "I have thought about it, but I wouldn't deliberately make these movies because I have a child. (Would you set upper and lower limits for your acting after becoming a father?) Dangerous stunts, (Intimate scenes?) From the wife's stand point of course I would try to reduce them. Although my wife hasn't mentioned them, I would cut down on my own." 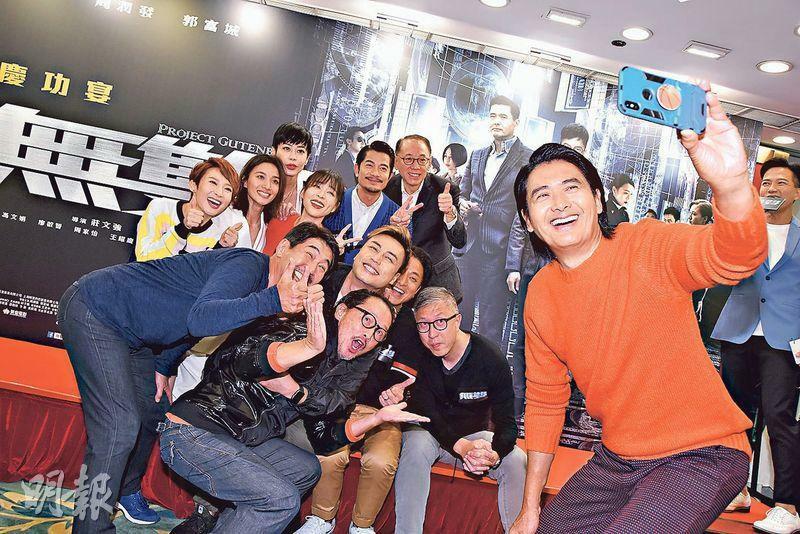 The Derek Yee Tung Sing produced, Andrew Lau Wai Keung directed new film KUNG FU MONSTER (MO LUM GWAI SAU) stars Chen Xuedong, Guo Biting, Wang Taili and has special appearance by Zhou Dongyu. Yesterday the film held a press conference in Beijing. 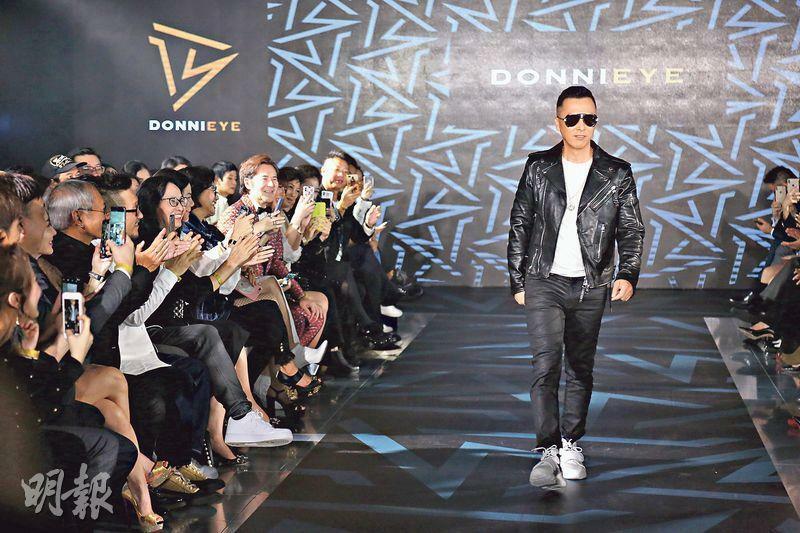 Donnie Yen Chi Tan's own eye wear brand DONNIEYE last night held a press conference. 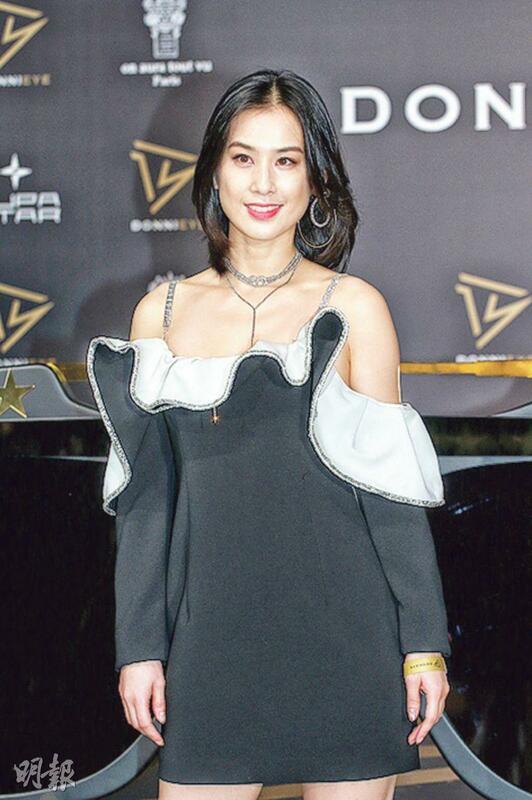 Many friends like Rosamund Kwan Chi Lam, Hacken Lee Hak Kun, Eva Huang Shengyi, Sandra Ng Kwan Yu attended. Lord Don not only designed his own glasses but also guest modeled. He said that modeling was not difficult at all because nothing was harder than making movies. Huang Shengyi came from Beijing to support Chi Tan. As for the sensitive subject of tax evasion, she stated, "We are law abiding people, with a lot of self control." 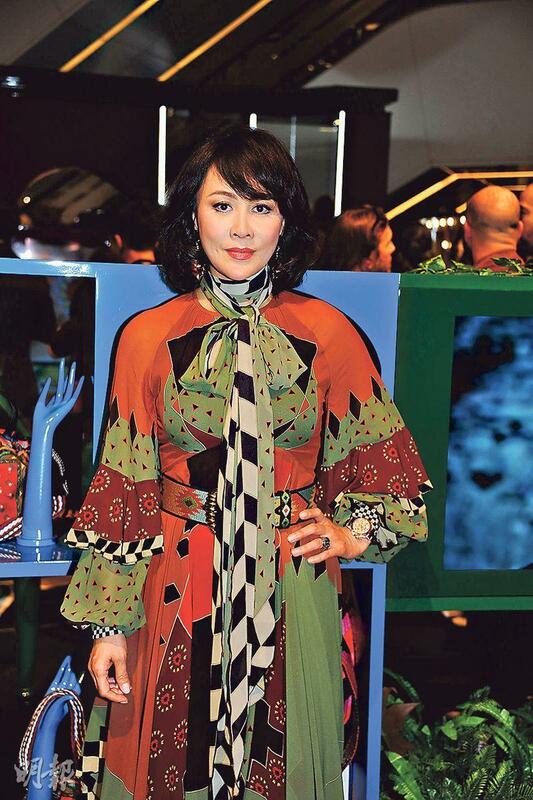 Carina Lau Ka Ling last night attended a fashion label event. Ka Ling revealed that she was in negotiation for a co-production film. 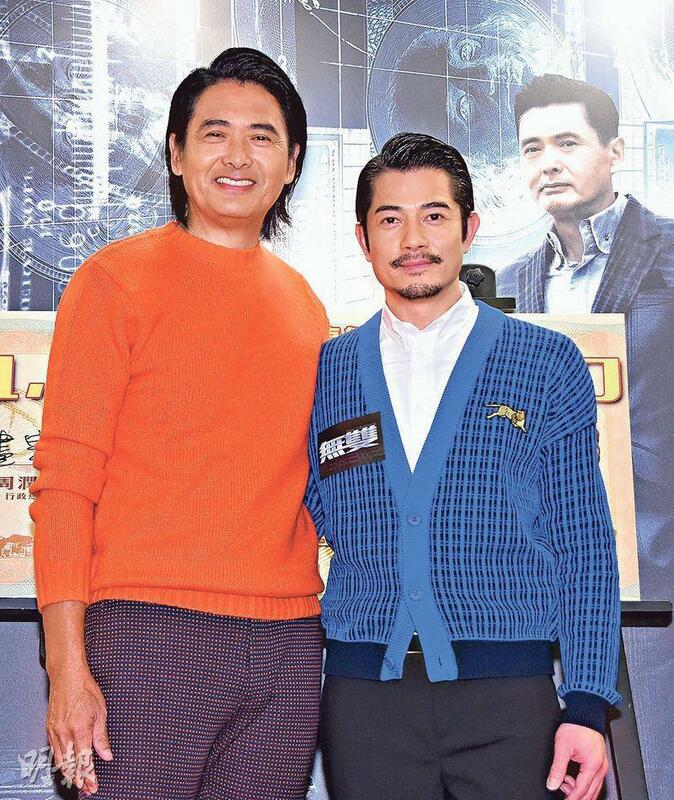 As for when her husband Tony Leung Chiu Wai will return to film, as Wai Jai's manager Ka Ling complained that Wai Jai for now refused to. She had to turn down 10 scripts for him. She even revealed that being his manager actually was not easy at all. "He would have words for me. When I told him to attend an event, he would say that he would only stay for half a hour." Ka Ling later will attend the Golden Horse Awards. As for work she would in negotiation for two Mainland commercials and co-production films. Her own company was looking for screen writers to write scripts. When would she release her husband Leung Chiu Wai for a movie? Ka Ling said, "He is the one who is unwilling. I turned down 10 scripts for him. Some were unsuitable, and he didn't want to make some. Being his manager actually isn't easy. He would have words for you. When you ask him to attend an event, he would say that he would only stay for half a hour!"